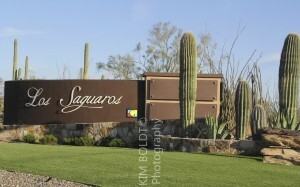 Los Saguaros at Dove Mountain is a brand new subdivision in the Dove Mountain area. Located in Northwest Tucson, Los Saguaros sits virtually at the top of Dove Mountain. The new Los Saguaros community is just a few miles south of the Ritz Carlton Resort. Most the homes in Los Saguaros enjoy outstanding views of the Tortolita Mountains, Catalina Mountains, and Tucson Mountains. Los Saguaros at Dove Mountain is a brand new subdivision being created by nationally recognized home builders Toll Brothers and Meritage Homes. Meritage Homes has four floorplans available in Los Saguaros. Each floor plan offers three different elevations. All the homes in Los Saguaros at Dove Mountain will be one story. Meritage Homes Los Saguaros home floor plans range from 2,391 square feet up to 3,046 square feet. Every Meritage home in Los Saguaros at Dove Mountain home is built with energy efficiency in mind. Los Saguaros at Dove Mountain homes are all contemporary or Mediterranean in style. All homes in Los Saguaros at Dove Mountain are ENERGY STAR CERTIFIED. The latest energy conservation construction methods are used to ensure a sound, well built and energy efficient home. Toll Brothers is presenting six-floor plans to be built on the 72 lots in Los Saguaros at Dove Mountain. Los Saguaros homes are nestled on just over 300 acres of the pristine untouched desert landscape of the Tortolita Mountains. If serenity and quiet are must-haves you will enjoy living at Los Saguaros at Dove Mountain. This new community is part of the Dove Mountain master plan. Dove Mountain is the location of the Ritz Carlton Tucson and offers abundant outdoor recreation, an array of fine dining and shopping. Oh, did we mention world-class golf, tennis and fitness facilities? Having a home in Los Saguaros is living in a Dove Mountain resort community. Neighboring subdivisions include Dos Logos, Solana and the Highlands at Dove Mountain. The Gallery Golf Club and the Dove Mountain Golf Course are also nearby. The Ritz-Carlton offers a luxury home community nearby at the Residences At The Ritz Carlton. Los Saguaros at Dove Mountain families are served by the Marana School District. Dove Mountain is just a short drive east from I-10 and Tangerine. It is an easy drive from either Tucson International Airport or the Phoenix Airport. Interested in a home built to your specifications? Then Los Saguaros at Dove Mountain may be just what you are looking for. With two national home builders offering 10-floor plans, there is sure to be one to meet your expectations. Considering a move to Southern Arizona or Tucson AZ? Maybe just a long term plan for that future retirement? We can help.